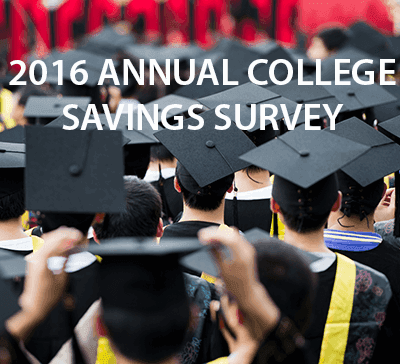 Savingforcollege.com is pleased to share the results of our third Annual College Savings Survey. This study provides new insights into the behaviors of parents and grandparents in the United States who are currently saving or intend to save for a child's future education. As in previous years, this survey focuses in particular on beliefs about 529 plans, and also includes new insight on other ways families are tackling high college costs. 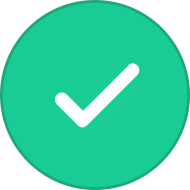 This year's survey was administered online to visitors to the Savingforcollege.com website from February through April, 2016. A total of 1,777 respondents completed the survey. Respondents to the survey have high aspirations about paying for college, but many aren't confident that they will be able to meet their goals. However, more families are using or intend to use 529 plans to help prepare for future education costs. These results present an opportunity for our industry, as well as financial advisors, to continue to educate families about how to maximize the benefits of 529 plans and how they fit into an overall saving strategy. Forty-nine percent of parents want to pay at least 75 percent of their children's college costs, but only 32 percent are confident they can cover the costs of their child's preferred school. Fifteen percent of parents would consider tapping their retirement savings to pay for their child's college, and 55 percent would be open to sending their child to a community college for two years to bring costs down. There appears to be a growing awareness of 529 plans. Seventy-seven percent of respondents are currently using 529 plans to save for college, up from 55 percent in 2015, and of those who haven't yet started saving, 62 percent plan to open a 529 plan in the future, up from 52 percent in 2015. Families are more knowledgeable about 529 plans than in previous years, but misconceptions still persist, especially when it comes to financial aid eligibility and ownership rules. Among families who intend to use a 529 plan, 28 percent are confident that they know how to enroll, up from 14 percent in 2015. Yet 50 percent aren't sure which investment options they would choose for their plan, up from 45 percent last year. Opinions about consulting a financial advisor to set up a 529 plan were similar to last year, with respondents citing commissions, fees and being comfortable researching and understanding investments as top reasons not to work with an advisor. Consumer satisfaction with 529 plans has improved; only 14 percent of families said they were opening a new plan because they were unhappy with their current plan, compared to 31 percent in 2015.